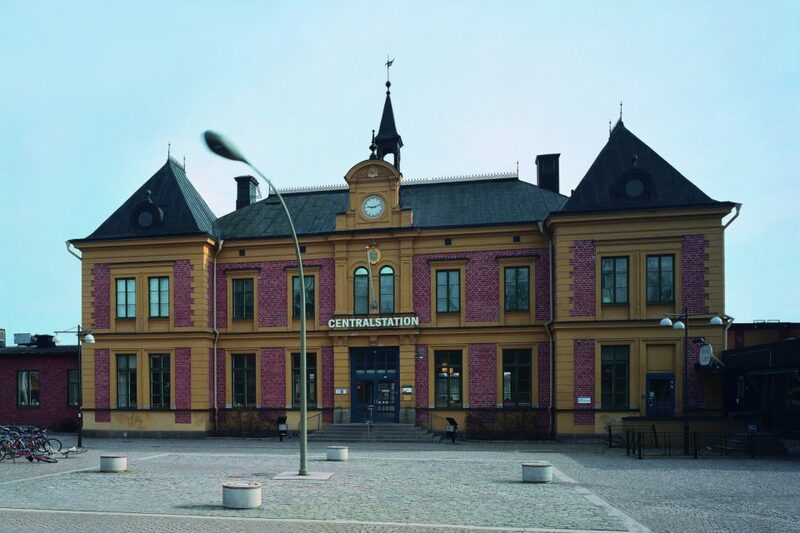 The building of the train station was erected in 1872 in the Neo-Renaissance style; in the mid-nineties, the entire complex was transformed into a modern travel center which now forms a central point of railroad transportation. A whip-formed streetlight is erected in the middle of the square plaza; the previously-installed circular flower bed has been removed. 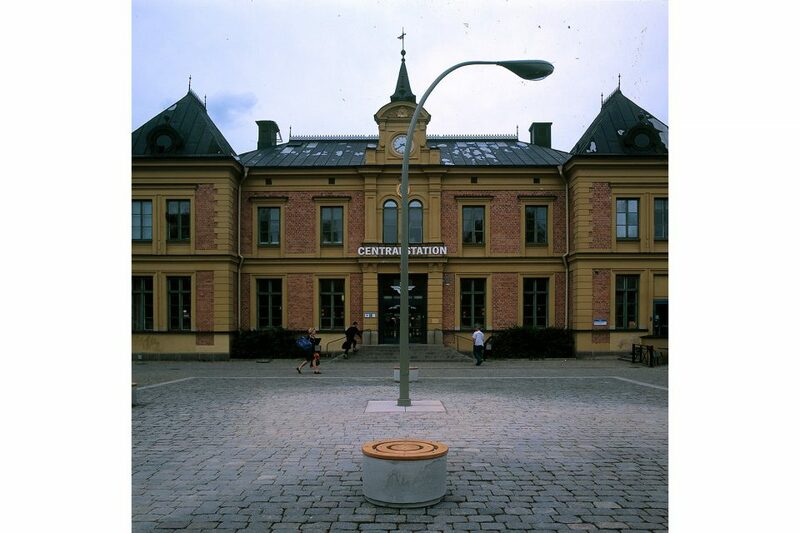 Four simple round bollards are installed as seating elements in clock formation, 90 degrees apart. 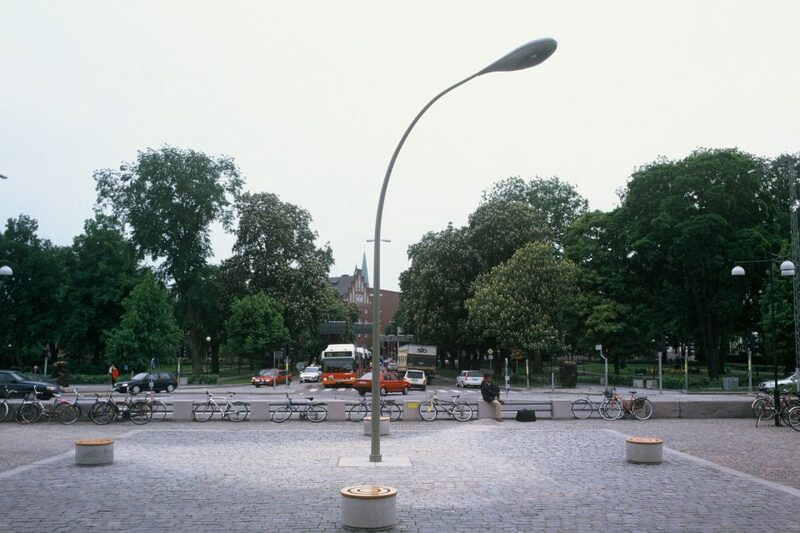 The pole is connected to an underground mechanical construction, so that the streetlight turns on its own axis once per minute, like the second hand of a clock. 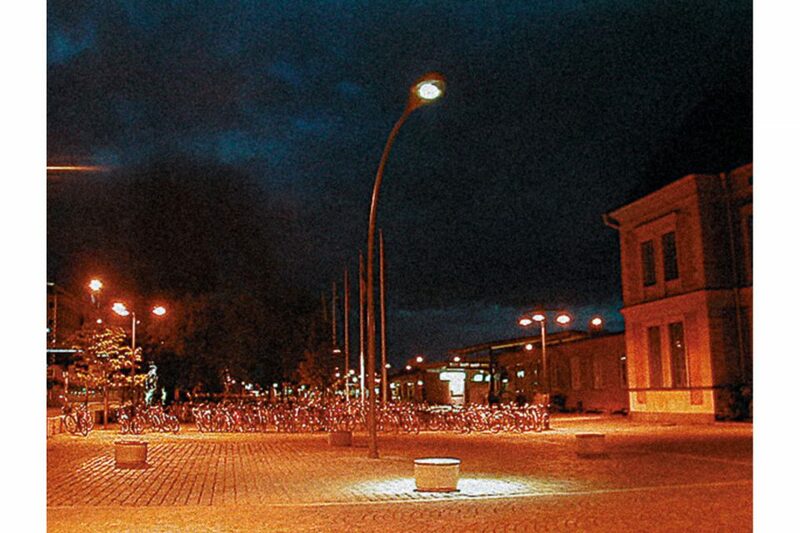 The streetlight turns continuously, and in the evening, synchronized with the municipal lighting, the lamp lights up. The plaza intended for the sculpture, placed centrally in front of the station, produces an anticipation of a classical sculptural presentation (i.e. a figure on a pedestal). At first glance, the piece satisfies this expectation, in that the plaza is indeed occupied by a vertical sculpture. It’s not the main protagonist, however, who appears on the ‘stage’, but the lighting itself. An ordinary streetlight, normally situated on the fringes of activity, is placed in the center of attention.